Voters in Colorado and Washington recently approved the legalization of marijuana for recreational — not “medical” — purposes. But this hardly means that the business of growing and dispensing of pot will be all fun and games. A big Seattle Times story reveals what Washington residents and entrepreneurs intrigued with the business aspects of legal marijuana can expect, largely based on what’s been taking place for years in Colorado’s medicinal-marijuana industry. “This is not your father’s marijuana,” the story quotes Colorado Governor John Hickenlooper as saying. Hickenlooper was talking about the increased potency of many of today’s strains of pot. But he could have also been addressing the vastly different way that the marijuana business is currently conducted. The gist is that it’s just that — a business — and one of the most tightly regulated on the planet at that. For a license to grow or sell pot in Colorado, would-be entrepreneurs have to go through background checks, submit years of bank statements, and cough up deposits and licensing and application fees that often add up to a hefty $500,000. Regulations also require 24/7 video surveillance — accessible to the police over the Internet — at marijuana dispensaries and farms where pot is grown. Each and every one of the thousands of pot plants grown in the state must also be labeled with a bar code, so that they can be tracked. TIME has previously reported that every worker in Colorado’s marijuana industry must be officially licensed and that records must be kept of the weight, departure and arrival of truck shipments of pot. Why all the regulation? One owner of a Colorado marijuana-growing operation offered this insight to the Seattle Times: ‘I think a lot of the info they required weeded out a lot of people who would have been bad for the industry,’ said Kayvan Khalatbari, co-owner of Denver Relief. When you work in the marijuana field, making puns such as “growing like a weed” and “weeding out” probably come as second nature. What Khalatbari means by people who are “bad for the industry” are those who might have ties to organized crime, or who might be tempted into selling off some of their product to underage customers or the black market in neighboring states. In any event, for years now, reports have been sprouting up (like weeds!) explaining how difficult it is to run a legal and profitable marijuana operation — not only because of strict oversight, but also because of tough competition. In some ways, the legal marijuana industry is a mirror image of the greater farming and food industry, in which large businesses have a huge advantage over mom-and-pop operations. Denver Relief is considered a medium-size grower, and it is based in a 13,000-square-foot (1,200 sq m) warehouse, where 2,000 pot plants require 62,000 watts of power and 2,000 gallons (7,570 liters) of filtered water each day. The image some have in their heads of a “typical” pot grower — a few plant beds in the basement, with special lights hovering above — seems to be way off. Legal marijuana is already big business in Colorado. In the past two years the state approved 739 sites for growing pot — some with 10,000 plants — and the industry leases a total of about 1 million square feet (93,000 sq m) of space in the Denver area. 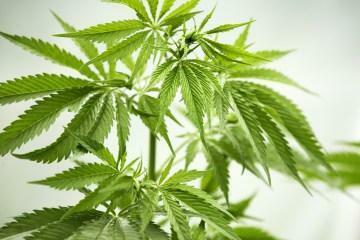 Pot is expected to be an even bigger business in Washington, however. Roughly 1,000 grow sites will be needed to meet demand, with 363,000 consumers in the state anticipated to be somehow ingesting in the neighborhood of 187,000 lb. (85,000 kg) of dry marijuana annually. The assumption is that the marijuana industry in Washington will be regulated as strictly as it is in Colorado. Meanwhile, in Colorado, the state’s first legal “pot clubs” opened with the new year — and new laws stating that purely recreational marijuana can be smoked, though not sold. Instead of selling pot, Denver’s Club 64 charged $29.99 for admission to a BYOM New Year’s party. Guests smoked and socialized, while enjoying a showing of The Big Lebowski and snacking on Cheetos and Goldfish — because apparently, while the business aspects and legal status of marijuana have been transformed, some things never change.